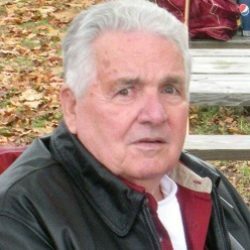 Leonard W. Creasey, 86, of King George, formerly of Bedford County, passed away February 7, 2019. 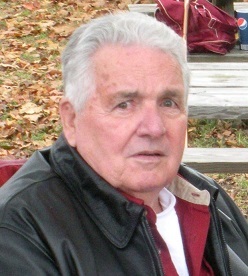 He retired from the King George County school bus transportation garage and was an avid hunter and fisherman. He is survived by his wife of nearly 60 years, Minnie F. Creasey; six children, Joanne Burton, Leonard J. “Jeff” Creasey, Angela Sawdy (David), Crystal Treadway (Jamie), Wes Creasey and Patrick Creasey (Angie); five siblings, Margaret Holland (Douglas), Fern Hargis (George), Lois Blankenship (Bobbie), Bill Creasey (Rose), Joyce Hawkins; five grandchildren, Emily Wilson, J.D. Treadway, Riley Sawdy, Kendrick Creasey, Jarred Treadway. He is preceded in death by grandchildren, Ryan Sawdy, Tiffany and Brittany Treadway. A funeral service will be held on Monday, February 11, 2019 at 11:00 AM at Storke Funeral Home-Nash and Slaw Chapel, King George, a visitation will be held one hour prior. Burial will follow at Historyland Memorial Park in King George. In lieu of flowers, donations may be made to St. Jude Children’s Research Hospital, 501 St. Jude Place, Memphis, TN 38105.